Located directly in front of Harry Nass Centre 1 there is a 2.5km sheltered lagoon. Separated from the open sea by a long sandy spit. With a large shallow standing area it is a ideal location for all levels especially for Beginners and Indermediates. 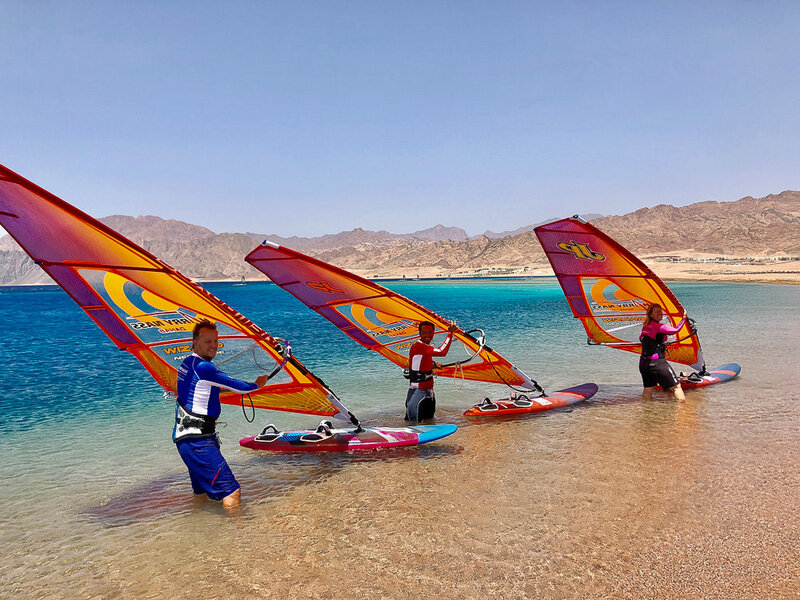 For the more advanced windsurfer, area 2 and 3 are easily accessible from here. Shallow water ensures you can walk back to the centre if required. Kitesurfing is not allowed. Shoes recommended. Area 2 has amazing flat water conditions making it perfect for freestyle, speed sailing and improving your skills. It is possible to windsurf directly from Harry Nass Centre 2 into speedy and the wave area on a beam reach. 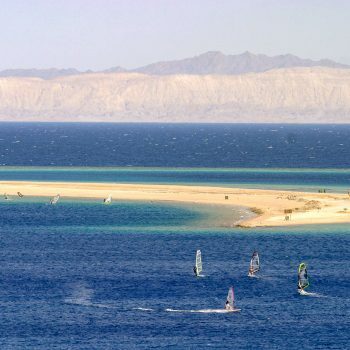 For your safety there is a floating platform and we are the only center in Dahab who are offering a Radio Rescueservice for area 2 and 3. 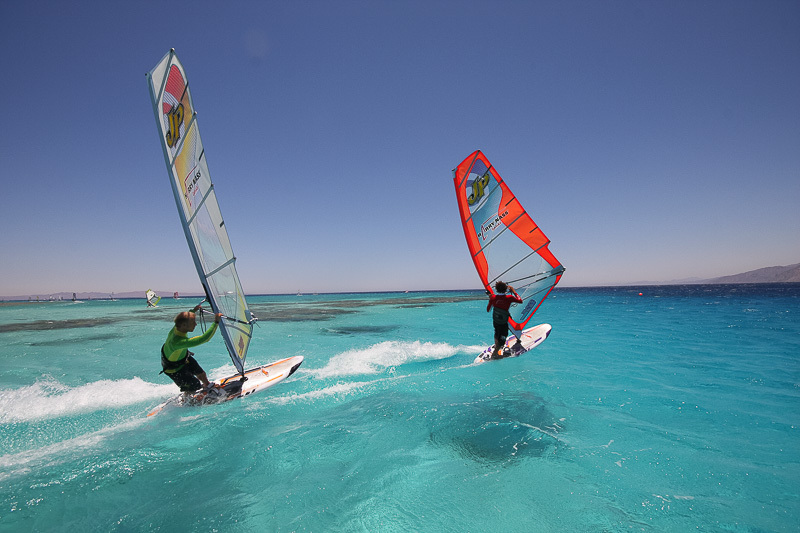 For a small rest there is a nice lagoon upwind called “Baby Bay” which is also famous for all freestyle. Kitesurfing is leewards of Area 2 allowed. The Napoleon Reef seperates area 2 and 3. 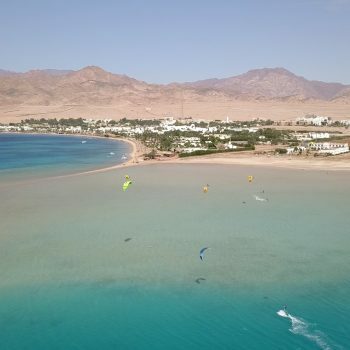 Beyond the reef you enter the open sea where you will find swell up to 3 meters high providing a great introduction to wave sailing and a good place for advanced windsurfers to have some fun. Our unique Radio Rescueservice allows you to be in contact with our center in emergency cases. For more safety please make sure that you are windsurfing in a group. Kitesurfing is allowed. Located to the left of Harry Nass Centre 1, there is a shallow flat water lagoon (500m x 300m). Separated from area 1 by a sand spit. Perfect learning conditions for beginners and intermediates. For Intermediate and Advanced we offer our complemetary shuttle service to center 2. No windsurfing allowed. Shoes recommended. 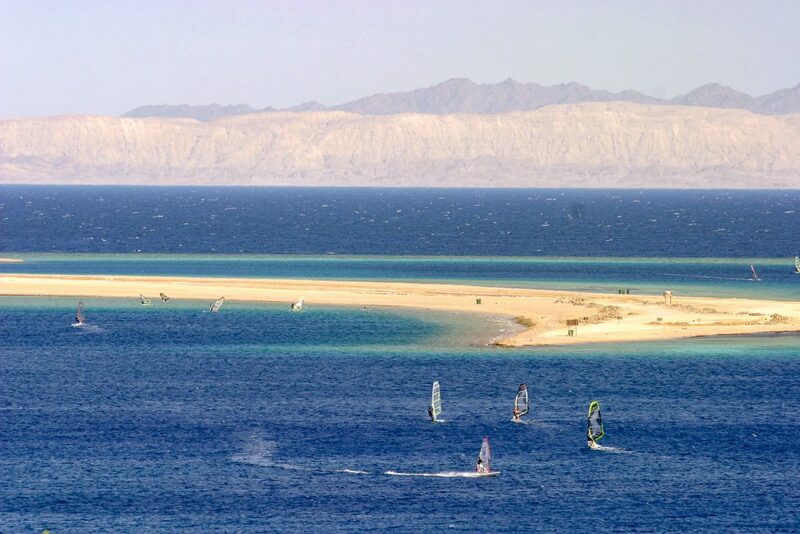 Advanced kiters can kite leeward to the windsurfers in area 2. However, due to the offshore wind and for security reasons it is advisable not to kite outside without being equipped with walkie talkies and a radio rescue service which is included in the affiliation to our station – this is especially true for the wave in area 3. 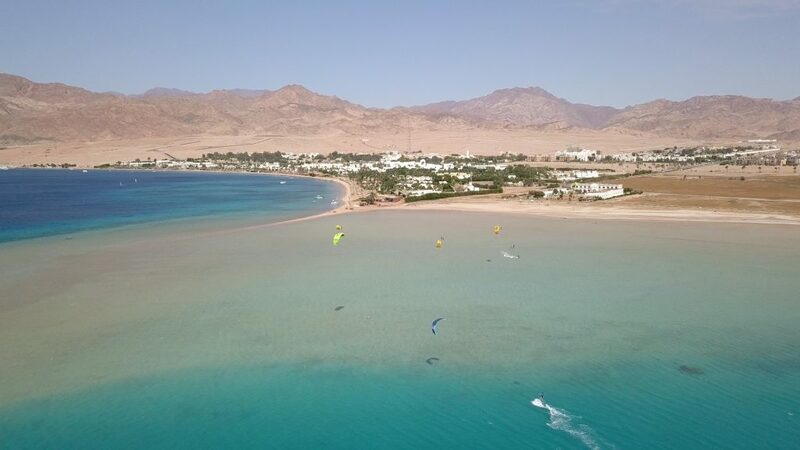 Our unique security system with walkie talkies for every kiter and windsurfer ensures your safety and our rescue boats are on standby at all times.